Students at Sheridan Elementary and East End Elementary are excited to meet renowned children’s book author, Janet Stevens. Stevens will visit Sheridan Elementary on Thursday, Oct. 20 and East End Elementary on Friday, Oct. 21. Stevens is a well known author and illustrator of children’s books writing and retelling many stories. She also collaborates with her sister, Susan Stevens Crummel, to write and illustrate even more titles. Her trademark humorous animals make her books favorites of children everywhere. Stevens has been the recipient of many prestigious awards including a Caldecott Honor Award and the Arkansas Diamond Primary Book Award. 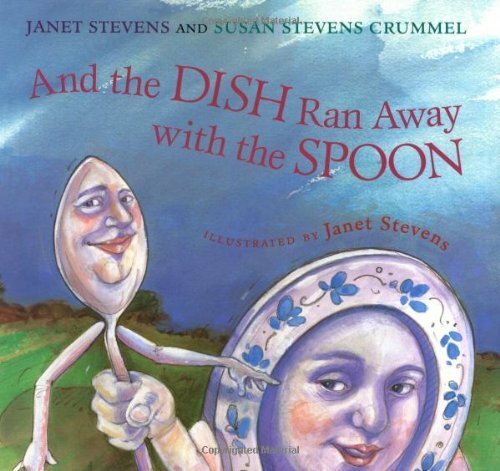 Some of her books are: “Tops and Bottoms,” “The Little Red Pen,” “Help Me, Mr. Mutt” and “The Dish Ran Away With The Spoon.” She has illustrated other popular books including Coleen Salley’s Epossumondas series. Students will enjoy a presentation by Stevens and will be allowed to purchase books at a 45% discounted rate for autographing on the day of the visit. Each hardback book will be on sale for $10.00. (This is not a fundraiser. It is an opportunity for our students to meet a renowned author and illustrator and to purchase an autographed keepsake.) We are excited to welcome Janet Stevens to Sheridan and East End Elementary!